1940's era Carhartt UNION MADE •SANFORIZED• Dark Brown Canvas Duck Cap in a rarely seen primitive style. 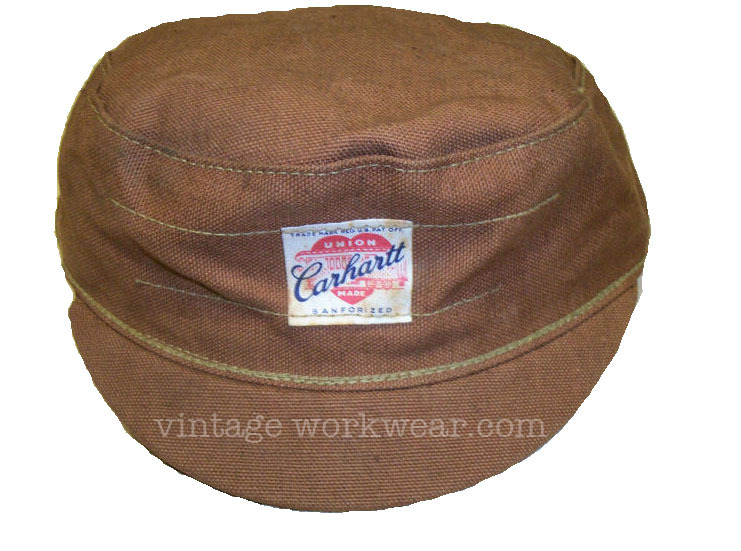 Details include stingy brim visor and simple construction reminiscent of early "cake" type baseball caps. 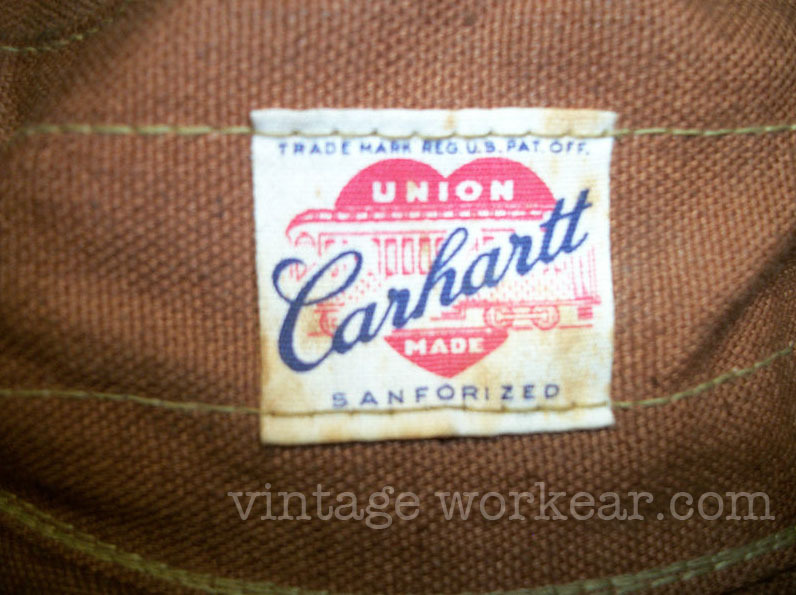 Really liking the elongated stitching used to secure the Carhartt Script Heart Mark Trolly Car printed label. I've seen this style of cap called a welding cap before. Think there is any merit to this? Looks like you've got some spammers on here Warren! Very informative content. I love reading it. Thanks for sharing it. The girls, what they want to say. Son can not be the first to know the sisters are contained nothing. Do not think to say the desire of ourselves as pragmatic, brothers and lovers will be extremely grateful if the sisters have to be made clear to them and they will be happy to comply immediately. Great info. 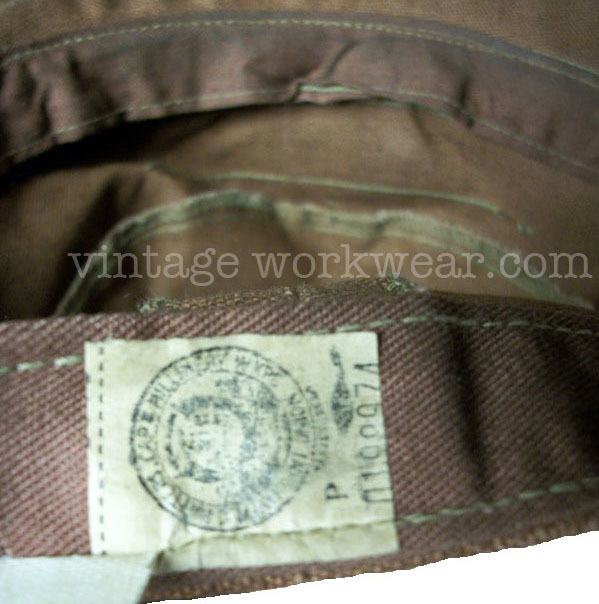 I would like more information about this, because it is very nice. Thanks for sharing. احصل علي صينة مجانية من خلال صيانة يونيفرسال علي اعلي مستوي من خلال افضل مهندسين الصيانتة المدربين علي التعامل مع اقصي المشاكل في جميع الاجهزة الكهربائية علي اعلي مستوي. تواصلوا الان معنا في صيانة وستنجهاوس حتي تحصلوا علي افضل خدمة عملاء في جميع انحاء مصر. وايضا في شركة صيانة وايت ويل تجدوا افضل مهندسين صيانة لصيانة افضل الاجهزة الكهربائية علي اعلي مستوي لدينا فقط.